Place all of the ingredients except the parsley in a low-sided pot or a very large skillet. Cover the pan and place it over a fast flame. Cook the mussels, shaking the pan occasionally, until they open, then cook for an additional minute. 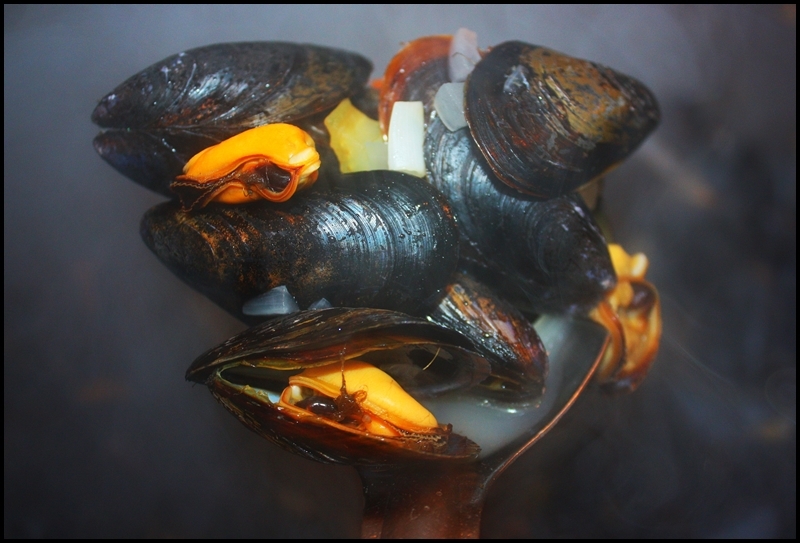 Remove from the heat and sprinkle the parsley across the mussels.